Soft, white, weightless sand, shallow waters, smooth rocks and the sunlight highlighting the emerald green nuances of the sea. The beach of Cea is more than a kilometre long. 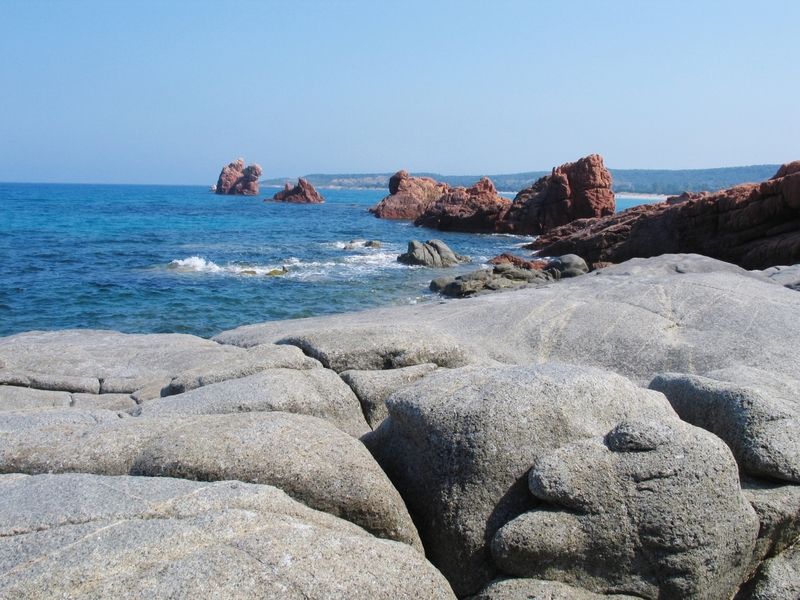 Three quarters of it belong to the territory of Tortolì, a town just a few kilometres along the coastline of Orrì, and the other quarter is on theBarisardo coast, which is about seven kilometres away. To the south, it is delimited by a row of rocks, Punta Niedda, while a little further on, there is the volcanic rock of the Plateau of Teccu. Walking here is a sensory experience: the sand is silky to the touch, the scent of the junipers and Mediterranean scrub, the sounds of the sea and its colours all make it a memorable part of your holiday. From the nearby hill, a ridge of red porphyryends as a beach. In the same direction, 300 metres from the shore, in the centre of the coast, two twenty-metre high sea stacks appear: Is Scoglius Arrubius, which lights up at sunset in a spellbinding show of colours. They are the symbol of Cea, and you can swim to them or reach them on a pedalo. The beach has places for dining/refreshments, ample parking and equipment rental. There are also services for the disabled and walkways that lead to the water. A little way beyond the beach, a small cove with rocks and stones makes it possible for pleasure boats to dock there. Behind it, there is dense vegetation and next to it there are little ponds, linked to the sea during high tide, where you can fish for grey mullet. Heading north, in the territory of Tortolì, you will find another picture-postcard location, Lido di Orrì, 16 kilometres of coastline consisting of little coves and small deserted beaches, among which the splendid Cala Ginepro. Then, in the territory of Barisardo, you can visitthe beach of Torre di Barì, symbol of the municipality located in the Ogliastra area. 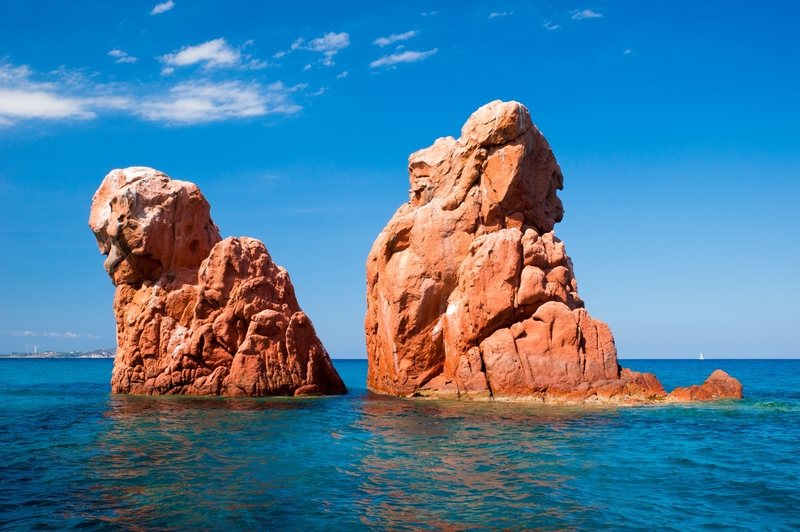 On the subject of red granite, near Arbatax, which is a district and port of Tortolì, don't miss a chance to admire the beach of the Rocce Rosse(Red Rocks), which act 'as a shield' to another dreamlike area, the 'city' beach of Cala Moresca. 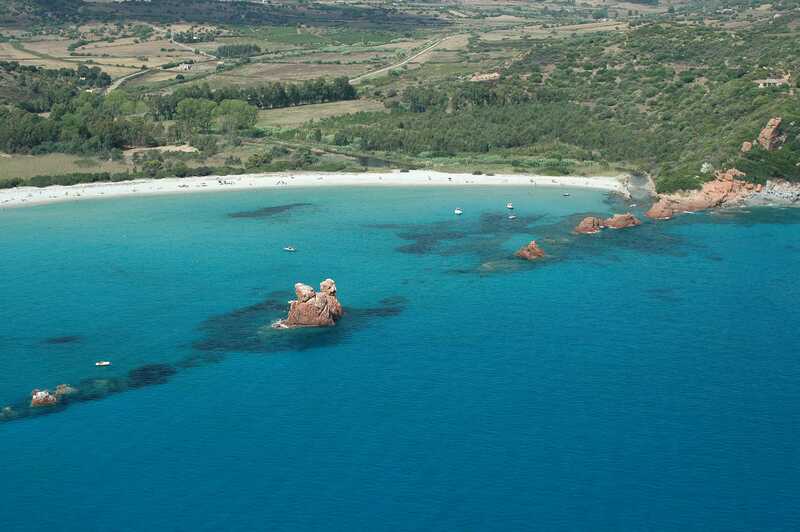 The beach of Cea is easily reached along the panoramic SS 125 main road among between Tortolì and Bari Sardo. There are signposts for the town of Cea and then for the beach. Do you like this place? 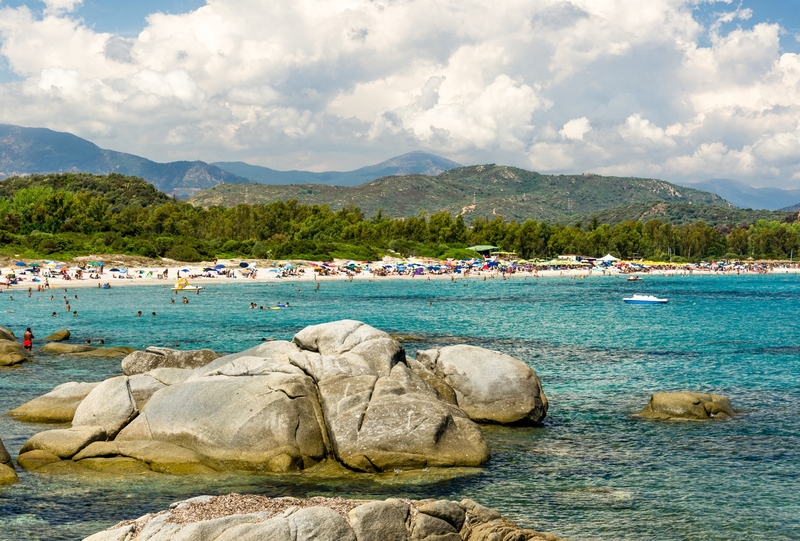 Santa Maria Navarrese and Tortolì could be your ideal destinations.